Bullet Proof Diesel has released a new line of EGR coolers featuring the patented H-Core technology, which was developed to resist the common causes of EGR cooler failure. Immediately available, the EGR coolers have been engineered for 6.6L Duramax LBZ applications, which are found in 2006/2007 Chevy and GMC pickups. 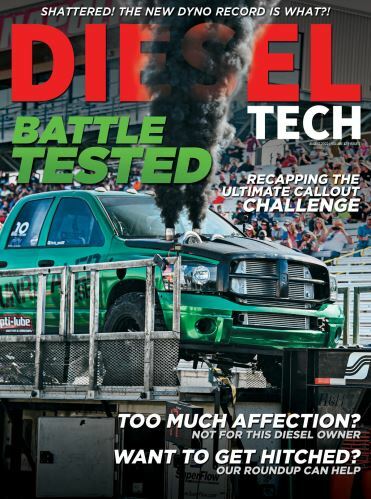 With a track record of more than a decade, Bullet Proof Diesel revolutionized the light truck diesel segment with the advent of the BulletProof EGR cooler, which greatly reduced the failure rate of the component within specific diesel engines. Taking the technology a step further, Bullet Proof Diesel has engineered a patented, self-accommodating ‘H-Core’ design that allows for the natural expansion and contraction of cooling tubes inside the EGR cooler. This limits structural failure, which can occur at the end of the tubes, rupturing the EGR cooler, rendering it useless and leading to possible engine component damage. The H-Core construction also increases the surface area of the coolant tubes within the EGR coolers, making them more effective heat exchangers than other tubed designs. A more forgiving EGR cooler design is integral to the durability of the component. During the life of an engine, a ‘thermal event’ - that is, an occurrence in which sufficient coolant flow is prevented from reaching the EGR cooler - will cause a temperature spike within the unit that often leads to component failure. This leads to truck downtime, additional repair costs, and legal issues, as keeping the EGR cooler operational is a necessary contingent for public road-use legality in all 50 states. The BulletProof 6.6L Duramax LBZ EGR Cooler joins the other Duramax offerings from Bullet Proof Diesel, including EGR coolers for the LLY, Top Kick, C/K Series, and G-Series engines. This latest addition means that Bullet Proof Diesel’s line of EGR coolers are available for trucks produced by all three of the domestic pickup manufacturers (Ford, GM, Fiat/Chrysler). Additionally, Bullet Proof Diesel has expanded its line of commercial-duty EGR coolers for Class 4 to Class 6 trucks.